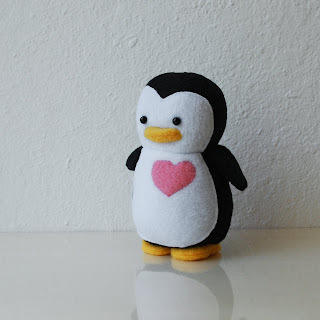 The photos above are of a personalized mini penguin. YES! 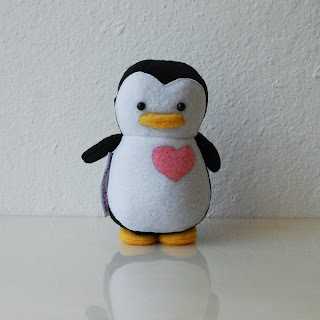 A mini penguin is coming soon. :D Although, the beak will look more like the original My Dear Darling penguin. Hehe, I love how this personalized mini has lips and personality. The Mister is loving this new beak style more. What do you think?